Whiplash isn't just a painful, debilitating problem; it can also be a very confusing one. From the wide range of symptoms it causes to the kinds of damage, it can do to your neck, you may be puzzled as to how you should address your whiplash. Here are the answers to some frequently asked questions about whiplash at Fremont Back & Neck Pain Relief. Whiplash is technically a syndrome, or collection of related symptoms, rather than a specific injury or condition. It gets its name from the sharp, high-speed, whip-like head motions that generally cause neck pain and cervical injury. Whiplash most often occurs in connection with auto accidents. A sudden stop or jolt may fling your head around while your body remains secured by a safety restraint. This causes hyperextension and hyperflexion of the neck. Sports injuries, workplace injuries, or personal injuries can also include whiplash. What Does Whiplash Do to the Body? When the neck is forced to move beyond its normal capacity, the neck and shoulder muscles and tensions can suffer acute strain. The cervical spinal joints or even entire cervical vertebrae may be dislodged, which may also produce herniated discs and nerve root compression. Whiplash is most notorious for causing severe neck pain and immobility, but that's just the tip of the iceberg. You may also experience headaches, vision problems, tinnitus, nausea, thinking or memory problems, mood disorders, and pain or other odd symptoms in your hands and arms. Could I Have Whiplash Without Knowing It? Amazingly, you can have a case of whiplash without realizing for days or weeks. The shock of the accident may have numbed those reactions, allowing the damage to grow increasingly worse because you're not getting it treated. 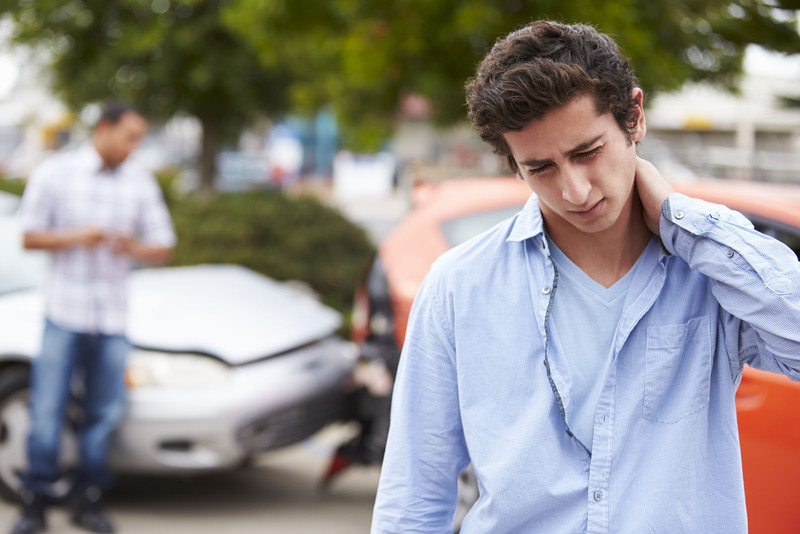 How Does Your Fremont Chiropractor Treat Whiplash Injuries? Our Fremont chiropractor, Dr. Allen, will perform a comprehensive examination, including neck X-rays as needed, to understand your particular whiplash damage. We can then create an auto accident injury treatment plan just for you. Your plan may include chiropractic adjustments to restore cervical alignment, cervical traction to relieve nerve compression, and exercises and muscle stimulation to rehabilitate the tissues, ease the pain, and improve neck motion. If you have any reason to suspect a possible case of whiplash, get the answers -- and the treatment -- you need for a healthy recuperation. Call us at (510) 438-9211 to learn more about our auto accident injury treatment options and schedule an examination!